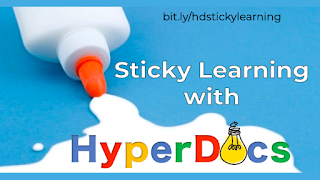 Often as teachers we see a resource, for example a HyperDocs and see it is invaluable. We must remember every resource is design for a purpose in a place and we must be reflective on how it can be valuable to our context and learners and be designer who draw on others practice. 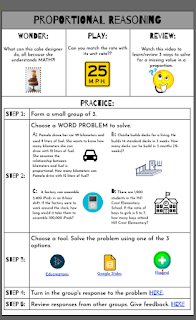 First we looked at three example HyerDoc lessons and I found that these are very similar to what I already do in the classroom just adjusted for my level. 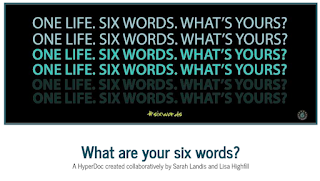 She said what makes a good HyperDoc is the for c, connect, collaboration, critical thinking and create. She talked about getting children to explore before they explain. We want to bring about emotion and empathy. "Can you make a difference in someones life?" How will you go out in the world and make a difference. When you are leaping into something new. Don't do it too often or children get bored. She suggested that you do one Hyperdoc a term. It is about what is the thing that makes learning stick. A Hyperdoc is not a teacher! The teachers is moving, engaging students and providing scaffolding. This is a maths lesson gave me ideas for how to get the children doing DMIC and Evaluating each others ideas. It is about building in the support from the teachers in the design of the lesson plan. We can constantly be think about how we support the children we teach in our lesson design and digital scaffolding. We must always be a reflective teacher, keep what you love and adjust the rest to be what your children need. Lisa, talked to us about her youtube. 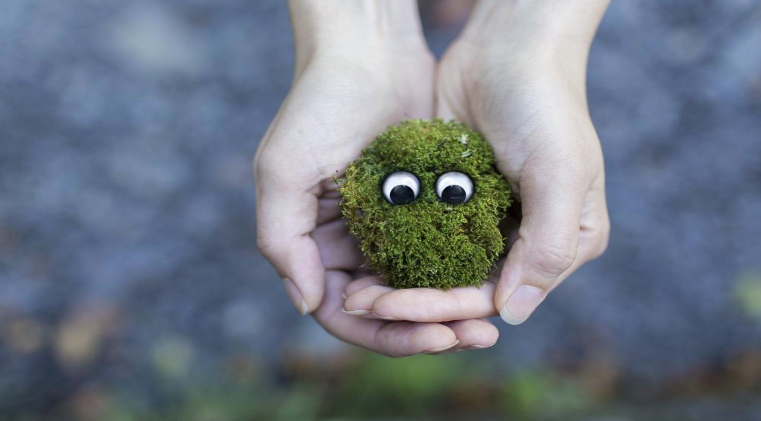 She shares lots of video that provide opportunities to explore big ideas with children. It is day two of the Auckland Summit and we are kicking it off with a playground session in this session we get to go to 3 different 15min mini workshops to learn about all kinds of things. 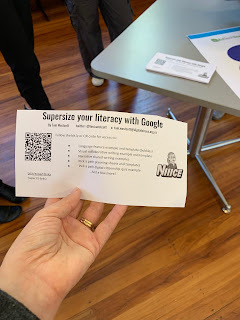 The first session I went to was called supersize your literacy with Google by Toni Westcott. She talked about how getting children working on together on a shared slideshows in which they all wrote on. This meant they could be more collaborative and kids could draw on each other ideas. She shared a lot of examples using this link. She describe how the children worked in peers to create word walls. She talked about examples of pick a paths. Mixed groups for reading to foster engagement with the students letting them choose the text they are interested in and the skills they felt they wanted to learn. Session 2, the amazing earth race, this session talked about an integrated unit in which the student rolled a dice 4 times and had to use these dice rolls to locate the places they went to. For each location they had to find the place to sleep that was safe, visit a major attraction, and learn about the place and the language. They had to locate travel times, keep a budget, write a postcard back home. They had to plan their own time to make sure they achieved their trip. She also showed us the Hemingway app. This is a good editing tool that highlights parts of the text to think of. Finally I built a tower with LEGO. 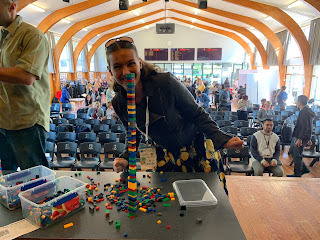 It was a trying experience and reminding me how often things fall apart and you have to fix them over and over and over :( but it is an important skill and something I very well might do with my kids early next term. Day one of the summit is coming to a close and we are all excited for the Ignite talk. Suan talked about life lessons from breaking his arm, playing netball. He talked about how his related to these ideas and how this led him to set goals. Some things take time to recover from and he talked about being the best version of himself. Anthony Speranza, talked about the value of scratch for teaching children to code. It allows children to create code and not be caught out by HTML which will not work with one tiny error. We want to engage learners is productive learning that they love. Can we design learning that links to the key ideas Projects, with their peers, the inspire passion and play. This video is so powerful. It gets you thinking about how children use technology are they being consumers of content or creator to content. 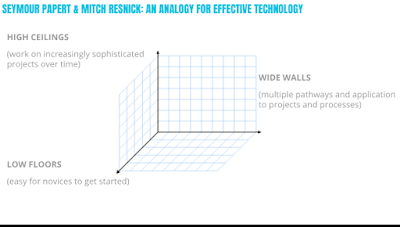 When we think about our own digital technologies curriculum it talks about getting children to think computationally and really getting kids to understand how games work. 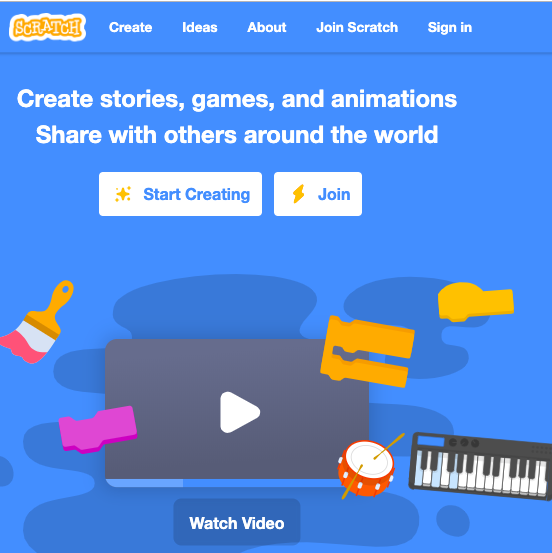 Scratch 3.0 no longer requires flash plug in so it can be used on iPad. Yay I have been waiting so long for this. This version has been update with a slightly different look it has tutorial that you can use. By giving children an open ended problem and asking them to design and think more about it. What does my program need to be effective. It was nice playing with scratch and seeing how much more the children can do now the scratch 3.0 is out!! Yay! Perfect timing for our inquiry topic next term. If you have not explored CSFirst now might be the time. CSFirst is designed so that you as a teacher have a full lesson plan with videos so you can learn about teaching scratch while the learners jump straight in. Scratch can also be integrated with Makey Makey, they plug into a usb and it think it is a key board. This can be used to create paper circuits to play music. Danni and I had our first presentation of the summit today. We had a very small group and the conversation and discussion about Google sites, blogging and pedagogy were fantastic. Thank you to all the people who were involved in this session. I choose this session today because my focus of my inquiry this year is writing and engaging children in writing. I am excited to get going and try some new ways of engaging with story tell that may motivate my wonderful learner to push them more. We want our children to be creators not just consumers of content. We want to encourage learners to use their skills to create and be a positive member of a group. Writing can be one of the most challenge task for students to undertake and we want to push students to the point that they have the skills to write for a lot of different purposes. We want children to have multiple options for expressing ideas and learning the structure and idea creation of story writing. We want children to have access, the ability to express themselves and engage with the learning. This is where students feel empowered. We want children to start their stories by grabbing their readers attention. She talked about this as being a sizzling start. 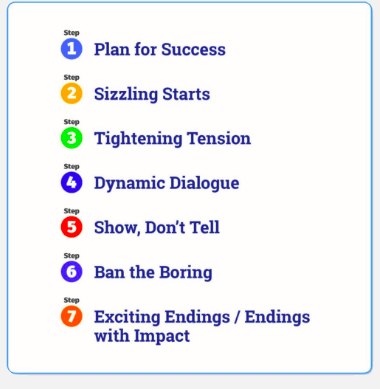 This came from a writing process model they used. We looked at this picture then had to write our own start. Disasters has struck! 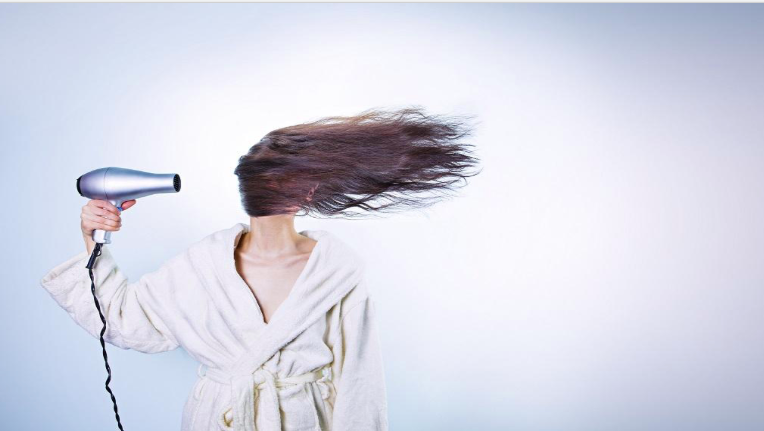 I was all ready running late for work when I released that my hair drier was broken. Not broken in the normal way where it wouldn't work but in the way where it created a wind storm. "Sitting in my field all day is boring," Said Poppy. 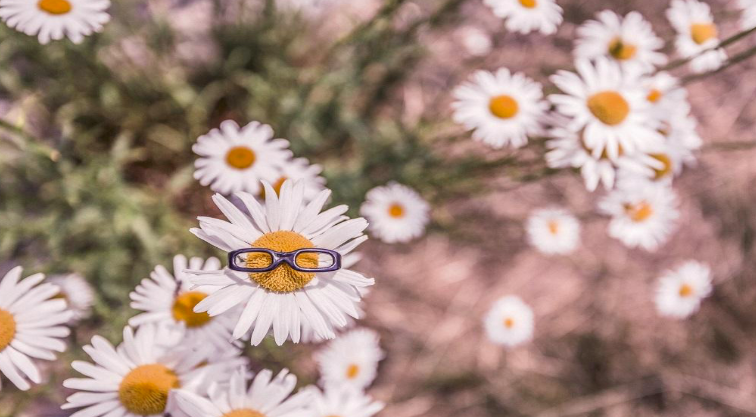 She was the only daisy in the field who had any clue about the world. Yes she knew that the daisy being called Poppy was silly but that just shows how clueless her parents were. "What are you?" asked the little girl as she pulled me from my home. I felt violated so my reply was short, "A fuzzle!" I yelled. After a hard day in the classroom what else am I meant to do. 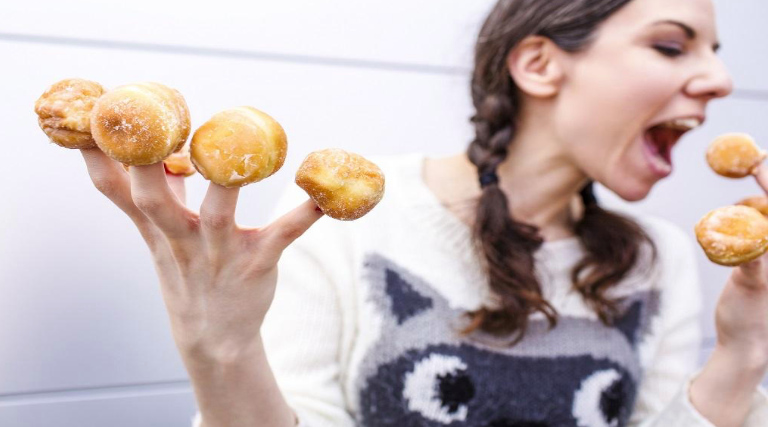 I had been working so hard on my diet but all the running, jumping and crawling of our maze had made me do it. Technology should add value to learning. This tool was not at all my favourite. It closes if you stop writing. This is a fun looking tool in which you can create fake text message conversations to show conversations between characters or to and author. Best for higher up the primary and secondary. This is a tool that gives you picture to match your picture. 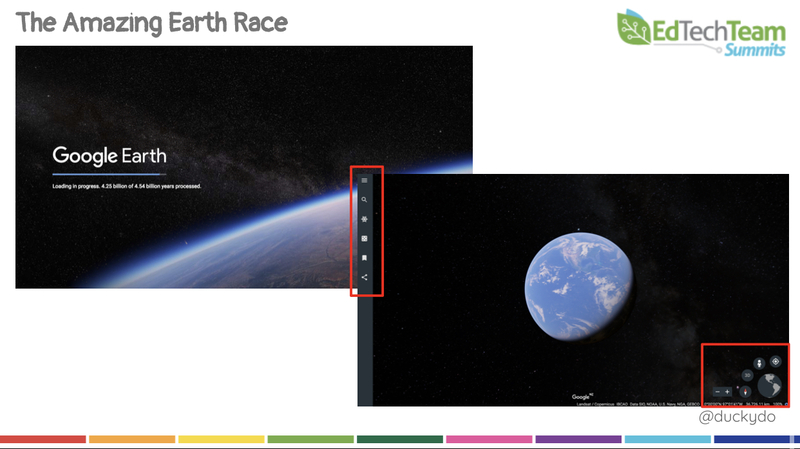 You can create a class with a topic pack for everyone to have a go with. You can create your own cartoon you and create a class photo. I have seen some amazing ThingLink. This is a great tool for creating amazing picture that share information. You can create links to more content from one image. This is a comic creator that allows you to create comic of all kinds. There are many sources of spoken language, song, stories, videos, face-face communication, poems and so much more. The uptake potential is different for our children, digital interaction with has less uptake than the face to face interactions that have a social context. We then discussed this text and the key ideas breaking it down and identify the vocabulary groups we we would discuss with the children. We talked about the ways this could become a much larger piece of learning. Some of the vocabulary we discussed, boisterous, engaged in play, favourite place to play, tugged on the laces, powerful red beak. We want children to understand that words keep company with each other because words have power and if we gift words in group children will know to use them in groups in way that make meaning. Today we had Dr Jannie van Hees visiting us again today. The number of text the are in children lives is a huge factor is achievement, we know this from a number of resources. These texts however are best when they are accompanied by talk. We also need to be aware of the language we use with kids, if we keep puddling around it simple texts spoken, written and visual then all kids will know is simple texts. No matter the age or stage children need to be exposed to lots of texts that are too hard for them. What does this mean for our PM text that are simple in their nature that we use to teach students to read. Is there a different way of looking at this but not throwing out what we know. We can't just have kids repeating what they know we must move them beyond what they already know. Children have an outstanding capacity to learn, we must never be afraid to push children to work at a level they can't do it on their own. A question we must ask ourselves: How much time are we spending pulling from the kids and how much time are we spending gifting. Jannie then reminded us of the conditions we want for learning. She suggest that an encourager should happen 3-6 times with the teacher has a higher likelihood of up take. Jannie talked about putting the effort back on the kids and using specific feedback. We need to deep dive into the text, it is not to say we need lots of activities but that we need time and quality conversation to really truely build understanding. Talking with detail is a major change maker for our kids. Learners need to know they have to dig deep and that the expectation in the classroom is that we share in detail. We want the children in our class to talk to us the whole class not just the teacher. We need to work on how our children talk to everyone. We are sharing our thinking is because we learn together. No matter what we value each others contribution! The teacher is a major scaffolder, however children can be great scaffolders if we scaffold their scaffolding and families can be scaffolder also. We want kids to talk the detail and expand our ideas. We want to stop saying it is more interesting, We want to say because you used more detail that your audience know what you mean. 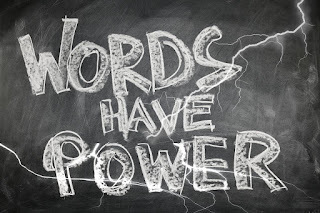 We must have a mantra as a teacher: I will alway offer vocabulary that talks the detail and say thing they would not normally utter. We need to get children to unlazy their brain, don't use the easy word because you have another word. We must keep thinking gifting, gifting, gifting. I was so excited after our last CoL PLG that I jumped straight into languaging learning. My co-teacher and I had decided we were going to do narratives about owls with our class as this integrated nicely with what we had been doing in art and the stories we had been reading in class. I was working with the 1B writers which are my target group for my inquiry. I had had them for a few weeks and they seemed to be doing well with the gifted language and creating sentences with support. I decided that I would Language learning and that I wanted to give them choice as these were two big things we had talked about in our PLG. I created an explain everything with lots of gifted words and sound bites for each gifted word or phrase. The first lesson went really well but what I found was that there was so much choice and so many new words that the children felt overwhelmed and only those with the ability to face challenges head on kept going and the rest became highly dependant on me. So with the help of the colleagues I started to ask, How much is too much? Is simple better? When are high expectation too high? How can I come at this group from a place they know and build in an exciting and fun way? How does choice feature for these learner or does it? This writing task really made me question myself. One thing I did find work was students recording their sentences and using this to help them write, almost like a self created dictation. It allowed for a clear connection between speech. I also found when gifted words were connected with a meaningful picture they were more likely to be remembered. I still have a lot to learn in terms of languaging learning, especially in writing. I would love to hear what others are doing so please leave me a comment. Dr Jannie van Hees reminded us of the need of all our learners in terms of vocabulary acquisition. We must remember that language is oral and print and within that sit the vocabulary. Just because students are exposed to language does not mean they will up take that language. These conditions need to be normalised in the classroom and be part of everyday. 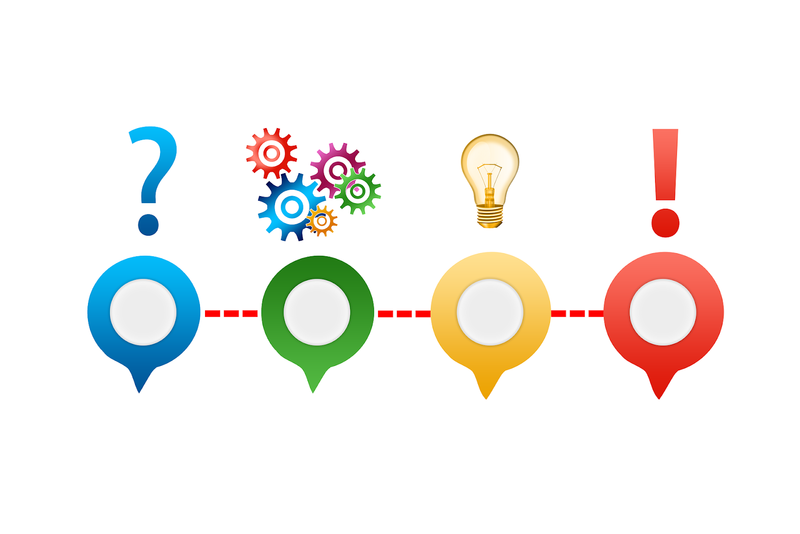 We must think, Where is the languaging of the learning in my inquiry? We want students to extend their ideas beyond just one simple idea. We want them to add detail and this is only done through practice. When students have more pair talk and shared talk, challenges and models of how to offer more language. How can we make the environment more dialogic? How much sharing can I make happen in a day? Jan suggested we need quantity of quality. We should be thinking about the texts about the world that are current and interesting for the learners and how we can build language in a meaningful way. One way Jan did was by using fluency to help build understanding. She did this by chucking the text by putting breaks between ideas. There are so many quality texts out there the challenge is to do quality and quantity. It was interesting to think today about the data more and identify patterns in one schools data and wonder if this is a pattern across the CoL.
We talked about how collaboration is such an important part of inquiry and when we talk and discuss together and found that while our inquiries had very different foci we all have similar themes that emerged from our problems. We as teacher need to think systematically about the data and get distance from the data, zoom out. This is why we need partners in our inquiries. People who can stand alongside us and help us to zoom out. What do we need to know about? There is so much to unpack in terms of the issue. 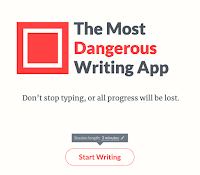 If we are look at achievement in writing. We need an overview of where they are at in writing, their attitudes towards writing, their spelling ability, their current vocabulary, their oral language ability, what they like to write about, what children can do and how they do it, reading ability and known words. -Looking closely at writing samples. -Videoing student writing (how do they write). Before writing, how do they get ideas and what do they do with those ideas, having got their ideas What do they with them? What do they do when they get to a word they don't? How do you know if you are right? 3. Explain why you judge this to be the most important and catalytic issue of learning for this group of learners this year (In chemistry, a catalyst increases the rate of reaction, but it also offers an alternate path for the reaction to follow). This group of learners have been stuck in the 1B writing bracket for a long time. They write very short stories and lacks specific vocabulary. I believe this is a catalytic because it is holding them back not only in writing but across the curriculum as they try to respond in a write form in reading and inquiry. 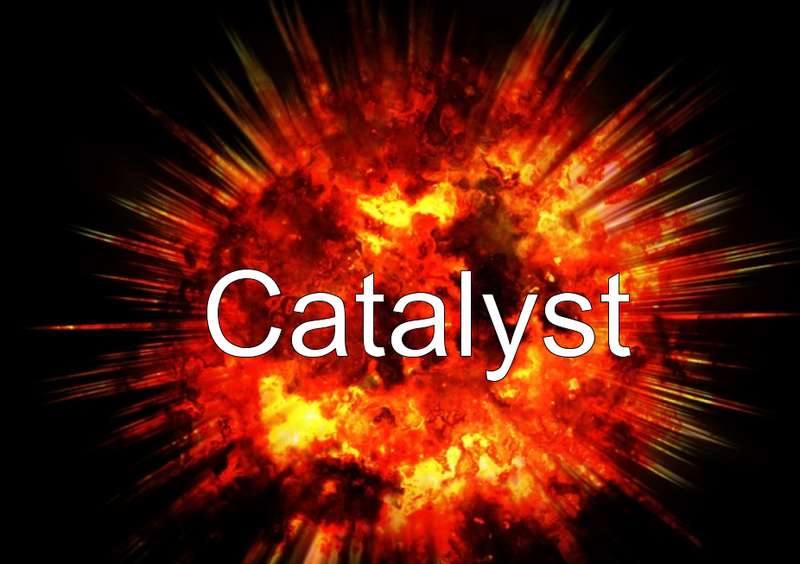 I think for my learners at this point in time the catalyst is giving them the tool to start and to get to a place of flow. I think the best tool is vocabulary that is the water that I need to support the to full the faucet with so that when they start writing they have lots to flow. I also think that vocabulary being increase orally and capturing this to make it rewindable will help to increase recycling of that vocabulary increasing students ability to use it. These ideas come from the professional learning we have been doing with Dr Jannie van Hees. I know I still have a lot of learning to do around this problem but I believe increasing writing amount and vocabulary for these learner in a way that is recycling language is a key that may help them across the curriculum. While I have tried a number of things this far I feel I still have a long way to go in finding the big ticket approach/approaches to address this issue. 2. 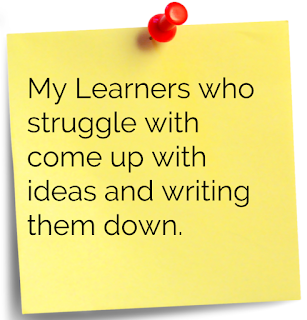 Describe how and why you have selected this challenge of student learning. 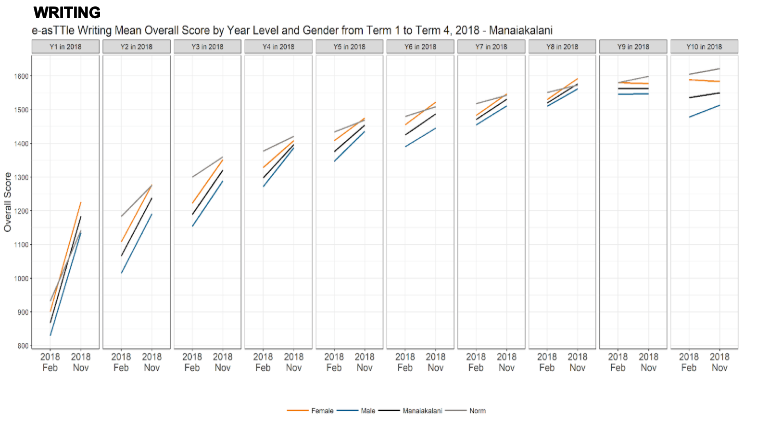 Locate your inquiry in the context of patterns of student learning in Manaiakalani overall. I selected the challenge of lifting writing achievement due to a number of factors. The first the identified need of the students in this area both from their writing samples from last year and more anecdotal evidence such as their struggle to spell unknown words, their speed of writing and quality and quantity of writing we are seeing in class. The second factor was a reflection on my own practice. 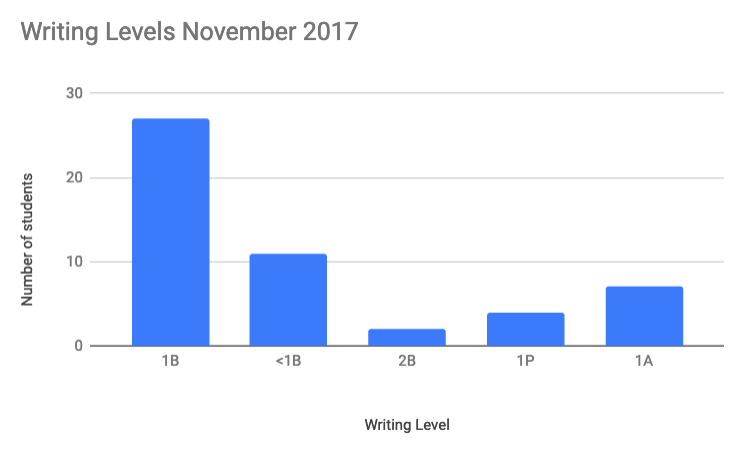 Over my four years of teaching my shift in writing as not matched the level of accelerated shift I have achieved in reading. I am also aware that this is an area of my practice I have not yet inquired into. In terms of the Manaiakalani Data, I know that writing is an area that as a whole we do very well in. We have had many teachers across the cluster inquire into this and I know that drawing on these inquiries will strength my practice. 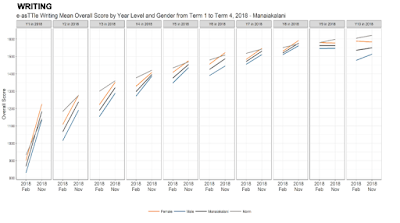 However much like the data shows for the cluster many of our struggling writers are boys and lifting these students along with their female peers is very important to all of us. I also see this as a connected inquiry in that drawing on the learning that I make and changes I make in writing will lead to reflections and changes in my reading program as it is clear from my earlier post that my students have a need in both areas and My students needs come first. After all we inquiry to become better teachers so that we can accelerate student learning. We have now been doing DMIC (Developing mathematical inquiring communities) and it is time to look back and step up our game and move forward. We talked about embracing new ideas and how the hardest part of this is letting go of the old, things that are not working so well or need to be let go to get more. One of these things is the numeracy project it was discontinued in 2009 as it does not address the needs of all learners we as a country have done something no other have in slitting strategies and knowledge. We shouldn't however throw out the key ideas of the numeracy project it is about changing the delivery of the learning. We have all learnt so much and this means that things are moving faster. 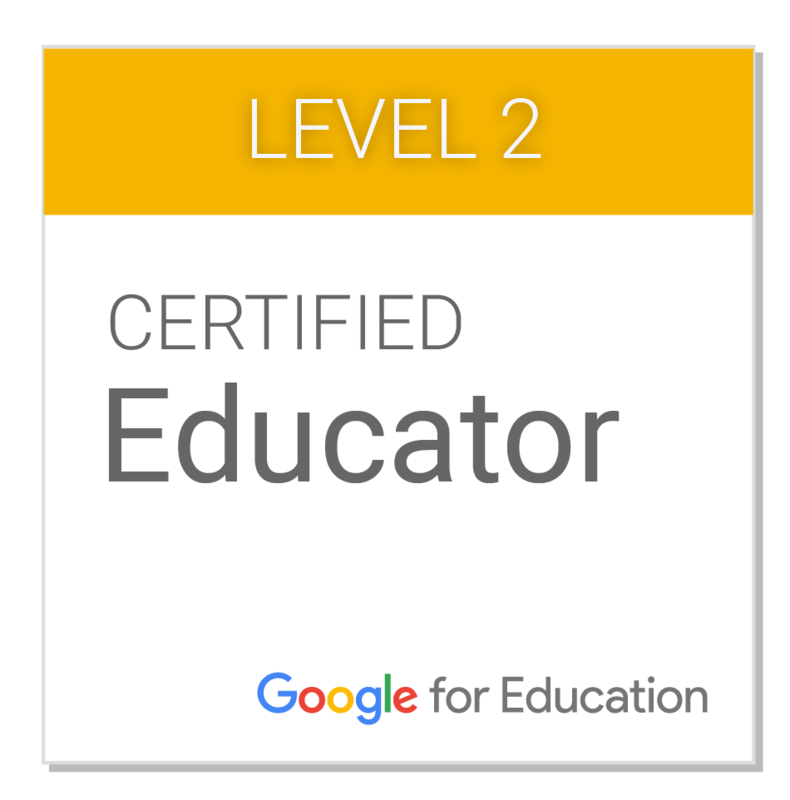 We now have more confidence and this has had a huge impact on the way we teach. We also still have challenges but these are more around going deeper and exploring more the balance of child and teacher talk and norms and mathematical discussion. We want kids to challenge each others. It is easy to get kids to agree it is harder to disagree and provide a reason when you ask "why". Kids need to be challenged when they are right as well as when their answer is wrong. Pushing for hands down allows kids have more opportunity and pushes them to try. It pays to use a bit of wait time when using agree and disagree as this provides time to form opinions and they will have more to share. We want kids to be able to justify why and how they did things so that the process of the mathematical thinking is the focus of the learning not just the answer. We must require that there is an individual and collective responsibility for learning and sharing. We are teachers and we must still model what we expect them to say. We need to be specific with our praise, we often say that was great but need to state what was great and why so children really understand. You can connect easily with our school value of better together. I can't believe we are half way through term 1 already, time has flown so fast. Reflecting back on the first half of the term one of the things that stands out for me is the idea of "Learning Together." I have been privilege to be able to visit a number of junior class within my own school to support teachers with different elements of working in a 1-1 iPad classroom. One thing that I have found profound for me has been the collaboration that happens when two teachers and many learners support each other. One example of this was when I visited a year 1 classroom. I have never been a year 1 teacher so it was amazing see how this teacher taught and then bring the iPad skills to support her and her class. The lesson became a conversation between two teacher and as such the lesson developed. We started with what the children already taking a photo, then we build in one more skill of cropping it. After we both felt they new this we revisited the skill of duplicating and finished by adding the skill of locking. The joy the filled the faces of the learners was incredible and both teachers learnt valuable skills from each other and were able to adjust the pace of the lesson based on the needs of the learners. The best part was that the lesson was pure learn, create, share all rolled up together as the children created to learn and shared as they learnt helping each other and working together. Thank you Room 16 for having me to visit. 1. 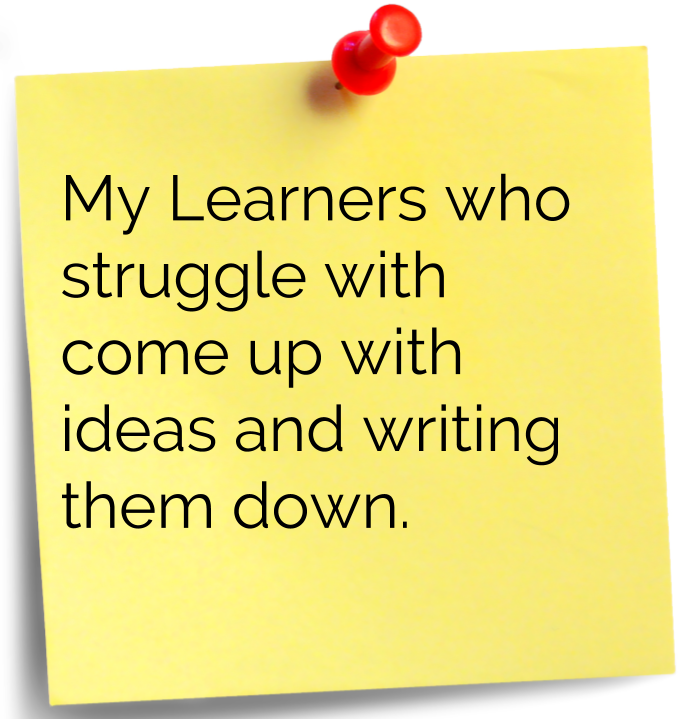 Summarise the challenge of student learning you plan to focus on in this inquiry. Be as clear and specific as you can about the evidence you have about this to date. Focusing Question: Will the use of more rewindable teacher and learning in literacy lift student achievement and support improved teacher practice? This year we have noticed that our students have a lot more needs in terms of their literacy ability. We have a huge group of 30 children out of the 52 learners in our space reading at green level 13 or below. 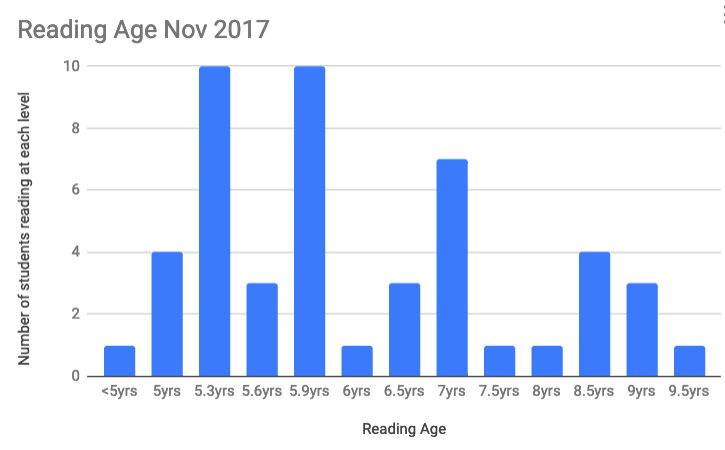 This mean there is a significant need to acceleration for these learners who are already over a year behind their chronological age. As a result we have talk a lot as a team and are working on taking learners back to the Gwynneth Phillips Reading Prompts. As a team we are learning to use these effectively and making sure there is consistency across the year groups. Due to my data from last year and the year before I am confident that we have the skill to make shift in this area. We notice that these result are similar in writing with the majority of learners being 1B writer. 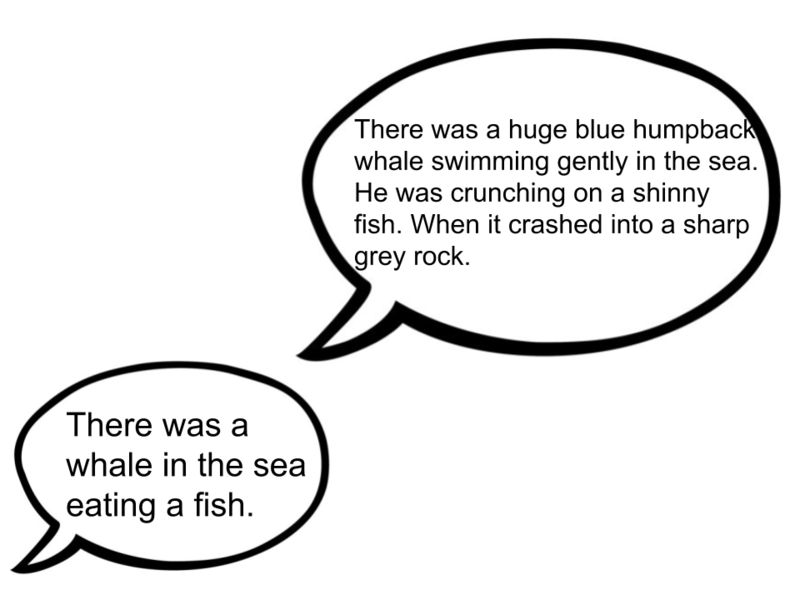 Students struggle in particular to put ideas into full sentences and writer how have this skill lack a clear knowledge of structuring their writing so it flows. This is the area that Chrissy and I have choose to focus on. I believe that student need to read, shared read and analyse quality writing to build an understanding of what they need to do. I noticed that there is a lack of vocabulary I plan to increase significantly the gifting that I am doing in the classroom and make sure this is visible and rewindable for the children. I have begun to do this in a very structure way making it clear where in the writing the gifted words could best be used for effect and I am beginning to see with my 1A-2B writer an increase in this language. 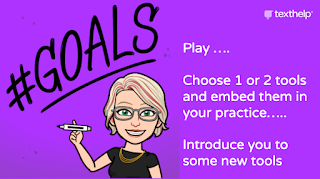 Also in My CoL across school role want to support teacher through making my practice, new and tried and true more visible with the aim of providing examples of effective practice. 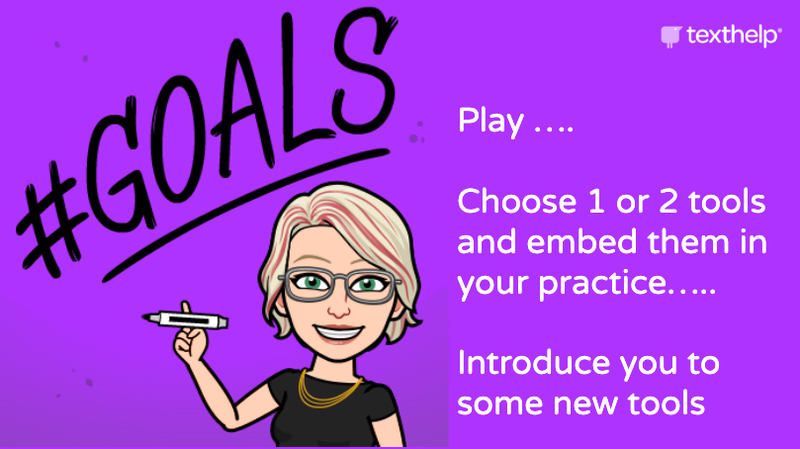 I also want to support other teachers doing great things to do the same so we as 1-1 iPad teachers in years 1-3 can also gain consistency in our practice and make the most of the opportunities we have to engage our learners in creative learning tasks. -Working with others, collaboration and different view points. - Self belief, If I learnt something last year that made great change in my students learning it should be a starting point for the next year. Analyse data to identify patterns and issue, (Aitken, 2007)"
We need to be aware the there are no absolute truth in education, hypotheses may fail, accepting that you are not always right and our beliefs and ideas can fail. Big problems can not be change in by one teacher, in one classroom, in one school. We have to do it together! Resilience is about pushing through the barrier. Sometime it will feel hard, student will not always be ready for your high expectation but if we keep them up they will raise. We must make sure that our ideas about what students do are based on facts and data and are not just assumptions. Students have a huge voice. They can tell you a lot about their learning and what you have done and how that has impacted on them. We must not forget to be knowledge building so that we really understand the issues and their complexity. As part of this, I used the blog commenting template designed by Karen Belt in 2016 as part of her MIT inquiry. 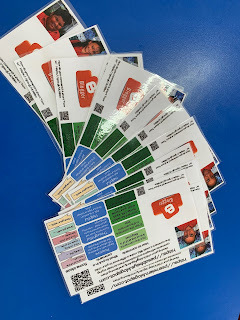 I made up a blogging card for the learners in our space to share with their families and so they can stay connect with our learning journey in 2019. It is great that we have these resources available to us as teachers from inquiry that were success full. Last night I check my email to find the one of the parents had already left and lovely comment on their sons blog as a result of having this card. This made it all worth it and I can't wait to see more commenting as we continue to share throughout the year. If you also want to get families commenting check out Karen Belt’s wonderful 2016 MIT project here. Today we had our first CoL PLG. Russell opened the PLG with a strong statement "You are the change makers in our community" He explained that we as CoL teachers will act on the evidence that we gather in our inquiries. Teaching is only improved to meet the needs of kids when we use data, are honest and learn what works and what doesn't work by trying things, being prepared to fail, failing and trying something different to find what does work. Next we discussed the Data from our cluster meeting in week 2. We talked about how the data in writing shows we are doing really well but the picture is not the same in maths and reading. How can we make the same shift in other subject as we do in writing? The Woolf Fisher team shared with us about Teaching as Inquiry and how we can get the most out of our inquiries as we start on this journey. The Woolf Fisher team are now doing a Meta Analysis of the CoL inquiries from last year with the aim of understanding the practices that supported student acceleration and what makes an effective inquiry. Last year we wrote reports about all we had done this year they aim to spread this throughout the year as specific blog posts, so stay tuned to see that. In terms of the inquiry we want to spend more time understanding the problem, learning, researching, diving into the data and really getting to understand the rich picture before we jump into solving the problems. We need to slow down and be really analytical about the student so we can make sure we adjust the teaching to address the problem. We also need to know what the practice was before the inquiry. What are we changing and why? 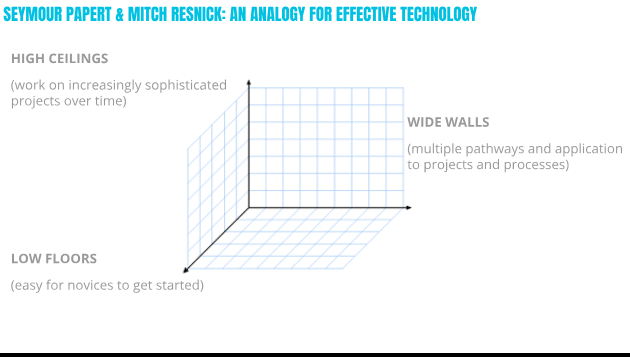 We need to make sure we are tapping into rich data, this can come from a range of sources. Why inquire? The Three view of effective inquiry. This is the focus on what the teacher does rather than what is happening to the student. This assume that a 'good' teacher will have a positive impact on all student. This is the focus on the student outcome and assumes that good student outcomes means good teacher practice. We must consider the 'black boxes' Student learning opportunity, Black box (how the student understand this learning), student outcomes. Effective inquiry should tackle a big problem. Blogging I back in full force. 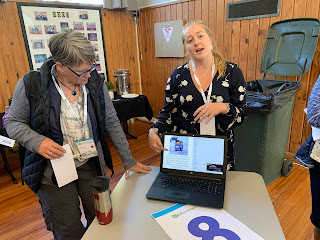 This year we have the Manaiakalani blogging app up and running and it is so exciting to see the learners blogging eagerly. 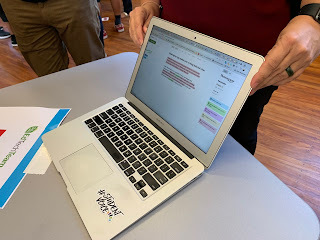 I started off introducing the blogging process to a small group of learners in the class in order give them the skills and empower them to become blogging experts who other could go to for questions. Then I worked with kids 1-1 with the support of my expert bloggers to help them understand the process. We are now moving into the phase in which each learner is ready to blog at different moments in time and I decided the best way to support them in this was to make the process rewindable and visible through the Cybersmart page on our class site. Salem helped me with this creating with me videos of how he blogged so that learners can follow them. I think I my next step will be to create a photo process and QR code for the classroom wall that students can see and refer to and that links them straight to videos. This will empower them to be their own problems solve as they continue to gain confidence as bloggers. Manaiakalani sense-making session with student achievement data. It’s been a great start to the year but it wouldn’t be a new academic year without looking back at our student data from 2018 and using this to celebrate, set goals, define our inquiries and understand which areas we can do more in. Reminded us of our journey. He share with us about the role we had played and the people who came before us played in creating Manaiakalani as it is today. We are about big change, creating transformative practice. Having data form this practice collected and analysed mean we can be critical of were we are at and see that we have achieved so much. 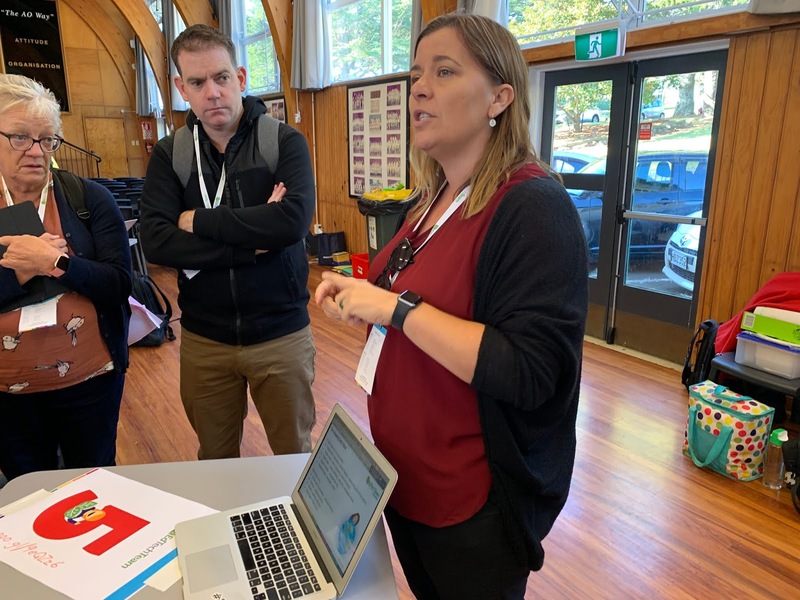 Manaiakalani started here with 12 school and brave teachers and now the pedagogy has spread with over 100 school engaging in learn, create, share pedagogy. Next the Woolf Fisher team shared with us the student achievement data for 2018. It was interesting listening to the data from the junior school. There biggest thing I noticed was the entry level word writing. The norm was that students could write fewer than 5 words when arriving at school. There was good progress during the year however they are skill quite far off the norm for New Zealand. Maths in the junior school was interesting it looks as though many students get stuck in the counting (stage four) however at year three there were more students pushing into stages 5 and 6. How learners interact, manage themselves and engage with their independent and guide learning is so important. However I as a teacher often focus most of my time and energy into the academic learning and making that visible, rewindable and engaging for the learners. This year my co-teacher and I wanted to make the of learning behaviour and positive behaviour a visible rewindable part of our classroom. This is a process that will take time and with each day we add and adjust the way in which we do this. One way we have begun to explore this is through the classroom walls and in particular our inquiry walls. We have an inquiry focus in term 1 around the school values and health. This has leant itself to our aims of making the "way we are at school" known here as the Pt England Way central to everything we do in our classroom. We are in week 1 for the year and we have been capturing the positive and making in part of our classroom environment. First we looked at our inquiry question: How can I be the best kid on the Point? Once a week we take one of these questions and ask the kids what it means to them. Providing examples, linking it to acts we have seen in the classroom. We then give the kids a chance to practice what these important values look like after all we practice reading, writing, maths, science. Practicing the way we learn is important too. We are so excited to for 2019 and making the way we learn and act visible, rewindable and engaging for our learners. The focus of our Discussion around DMiC today is looking at how we plan maths. We are using the Curriculum Elaborations and as a team create learning outcomes from theses larger ideas. Today we focused on statistics with the aim of creating pathway of learning outcomes coming from each team in the school. We focused on statistical investigation and worked to create learning outcomes that are measurable and doable. We need to be able to see these learning outcomes in what the students do, not what they are thinking. communicating findings based on the data. We want to have a continuum of types of graph. For example at level 1 pictographs, level 2 building of pictographs with picture represents multiple objects, add bars graphs. By building up the knowledge of different graphs so that when the reach level 4 and even level 5 they have meaning knowledge of all graphs so they able to conduct robust statistical investigations. By having this understanding of where kids start and where we need them to get to we can make sure each year builds on what they have already done so what each year is a stepping stone to new learning and they have all the knowledge they need by year 8 and we can send them off to high school with a sound knowledge that will set them up for life.